H's 18th birthday is this week. She's headed off to college in August. So, I wanted my gift to be college-friendly. Lately, I've enjoyed making Mason jar gifts. So, H is getting a pedicure in a Mason jar. 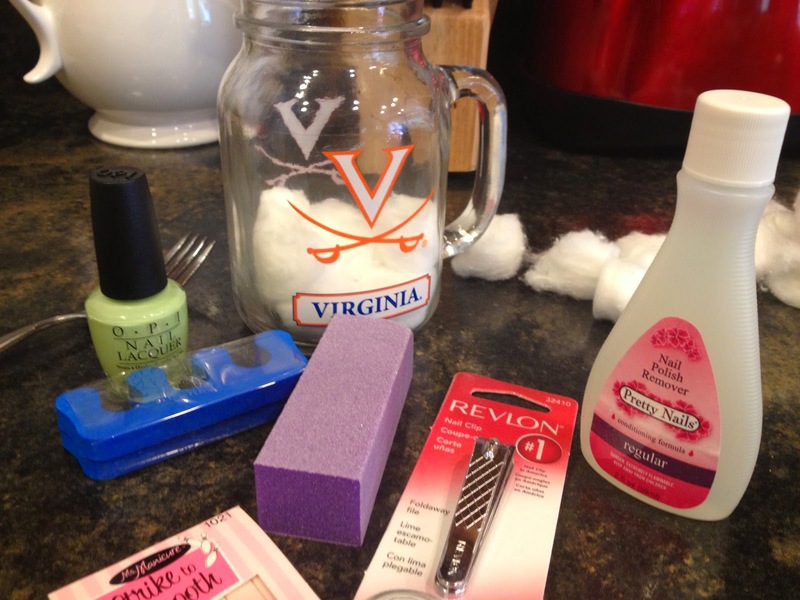 I just happened to find the jar with her college emblem on it and mini pedicure items at Bed, Barh, & Beyond. It is harder to put items in a Mason jar than it looks. So, I used a fork to cram everything in there. H is tasked with getting it all out. Moral of the Story: Any gift in a Mason jar is a great gift. It's a gift in a gift.